Just because summer is over, it doesn’t mean the bargains have to be. We’ve got some great-value foodie deals, events that are finally able to go al fresco, and everyone’s favourite fear-fuelled fiesta, Halloween. Armani/Amal, Armani/Hashi, Armani/Ristorante and Armani/Deli, Burj Khalifa, Downtown Dubai. Sun Oct 1 to Tues Oct 10, 7pm to 11pm. Dhs350 per person, set menu only. Tel: (04) 888 3666. More info on website. 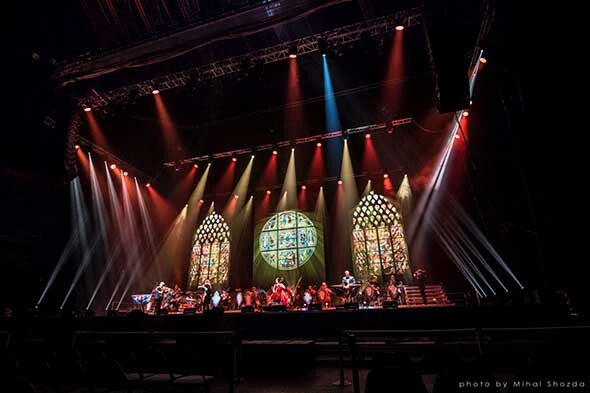 The first ever English language musical about Dubai is set to premiere at the Madinat Theatre on Wednesday, October 4. 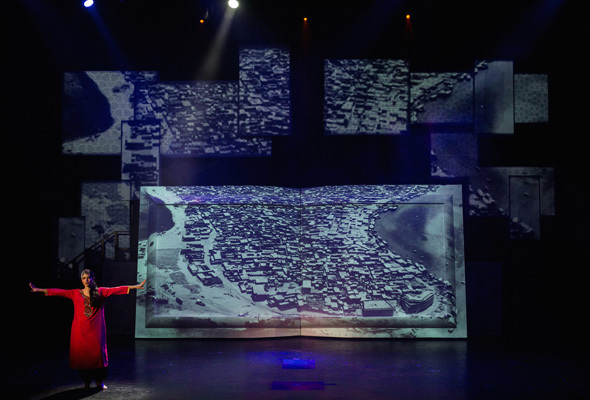 Amazing Dubai is an hour-long production which reveals the emirate’s journey from a small fishing community in the 1800s to one of the most modern metropolises in the world. The story unfolds through the life and times of an imaginary Dubai family, whose progress parallels that of the city they call home. Special introductory price tickets for the month of October start from Dhs75 for Emirates ID holders. Madinat Theatre, Souk Madinat, Sat to Thurs, 12pm and 2.30pm, Dhs100, Dhs75 children and adults with Emirates ID, Dhs250 for family of two adults and two children. Tel (04) 366 6546. More info on website. Jumeriah Restaurant Week returns this year, with eight days of feasting from signature menus across 40 of Jumeirah’s most loved restaurants. Prices for set menus range from Dhs95 to Dhs350. To kick off the week, Thursday October 5 sees Madinat Jumeriah’s Big Bite Out, a mammoth dine-around event taking over the resort where, for Dhs395, you can eat and drink at 14 different bars and restaurants from 7pm to 11pm – all culminating with an after-party at Shimmers, Jumeirah Mina A’Salam. Madinat Jumeirah, Thurs Oct 5 to Fri Oct 13, various timings and locations, for full list of participating outlets visit jumeirah.com. In support of Breast Cancer Awareness Month, Fairmont The Palm is marking its next Full Moon Yoga event with a special ‘Pinktober’ theme. 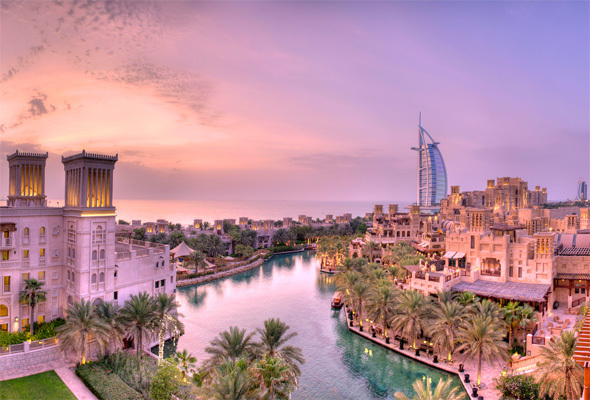 Both residents and visitors to Dubai are encouraged to get together and wear their best pink attire to experience a night of stretching under the stars. Starting at 8pm, the resort welcomes both male and female guests to the hour-long intermediate yoga session, followed by 30 minutes of meditation on the resort’s white sand beach. There will be prize giveaways and pink treats and refreshments on the evening too. Fairmont The Palm, Dhs75, Saturday October 7, 8pm to 9.30pm. Tel: (04) 457 3545. More info on Facebook. 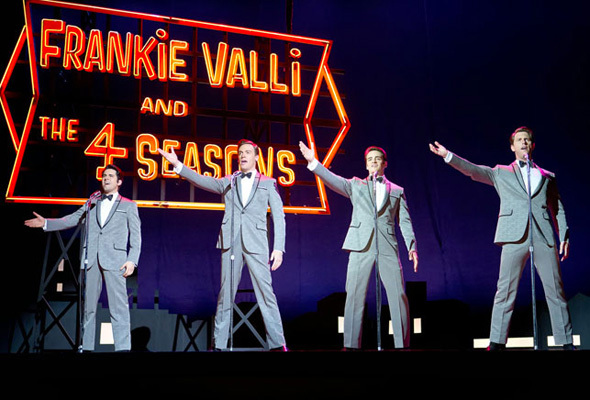 Get excited musical fans – the acclaimed Broadway musical Jersey Boys is headed to Dubai from October 11 to 14 at Dubai Opera. The jukebox musical tells the success story of one of the most popular bands of all time: Frankie Valli & The Four Seasons, a band responsible for some of the most recognisable hits of the ’60s, including Oh What a Night, Can’t Take My Eyes Off You, Sherry, Walk Like a Man, Bye Bye Baby and Big Girls Don’t Cry. There will be four evening performances plus a Friday matinee, with tickets from Dhs250. Dubai Opera, The Opera District, Downtown Dubai, Dubai, Oct 11 to 14 8pm, Fri 13 matinee 3pm, from Dhs250. Tel: (800) 36227. More info on website. Dubai’s British Business Group is hosting a family-focused garden party on Friday October 13 to celebrate the group’s 30th anniversary. 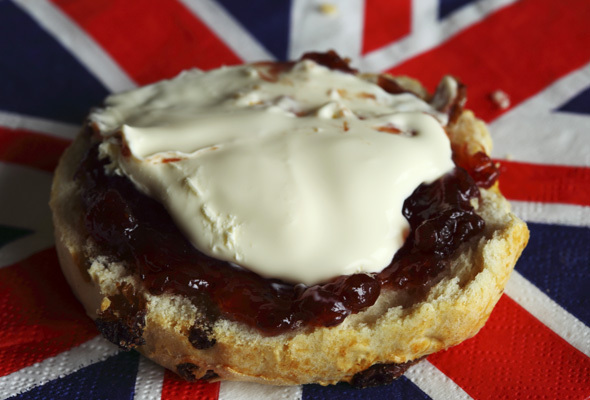 The event will run from 4pm till midnight and will be a celebration of all things British, with picnic food and entertainment for the kids, including giant wigwams, a bouncy castle and face painting. The soundtrack will be provided by DJ Marky Mark, and there will also be a live performance from The Boxtones. 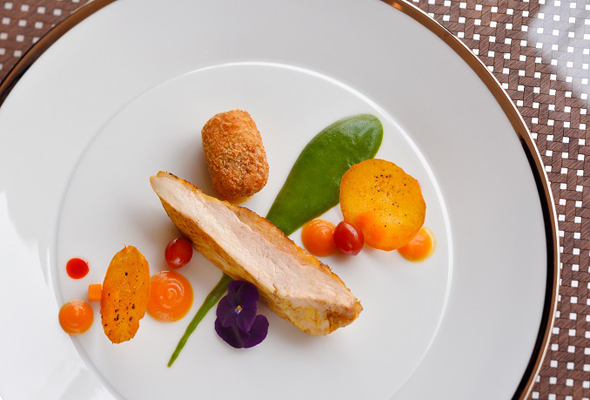 A five-hour food and drink package is available from Dhs225. Royal Lawn, British Embassy Dubai, Friday October 13, 4pm to 12am, five hour brunch Dhs225 soft, Dhs425 house . Tel: (04) 336 2222. More info on website. 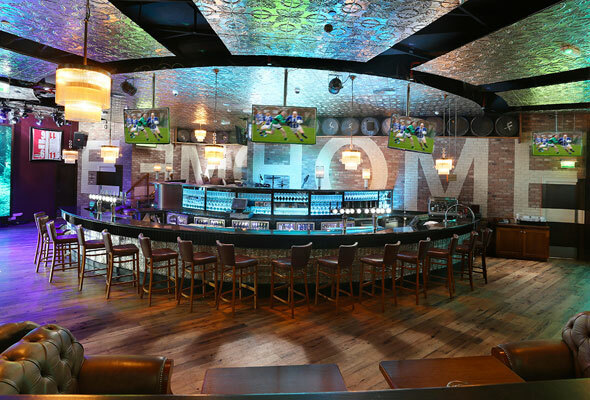 A Dubai classic, Irish pub chain McGettigan’s will open a 5th branch this October in the space currently occupied by sports bar Studio One, on the street level of the Hilton JBR. McGettigan’s JBR will offer its signature all-day pub grub, a daily happy hour and extensive live sports coverage, seven days a week. An official opening date is still to be confirmed, but it’s likely to be the first half of October. Hilton Dubai Jumeirah Resort, JBR. More info on website. 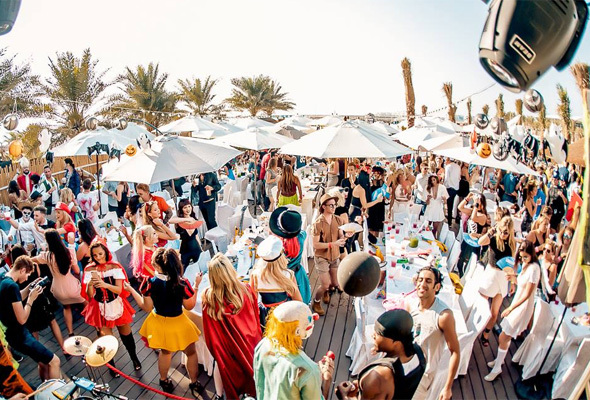 To be honest, we’re just excited for Halloween in general, but one of Dubai’s biggest brunch parties combined with Halloween? That might just make it to the top of our list. The Candypants mega brunch is back on Friday October 27, with space for more than 800 brunchers. Expect a day of DJs, live acts and a competition for the best outfits, followed by a ‘hellish’ after-party at Dubai Marina’s XL club. Halloween fancy dress is strongly encouraged. Habtoor Grand, Dubai Marina, Friday’s 1pm-4pm, afterparty from 4pm, house Dhs350, sparkling Dhs395, (Dhs395 for anyone not in fancy dress). Tel:(050) 220 4638. More info on website. The Halloween-themed live music festival Fiesta De Los Muertos is set to spook things up at Dubai’s Autism Rocks Arena on Friday October 27. 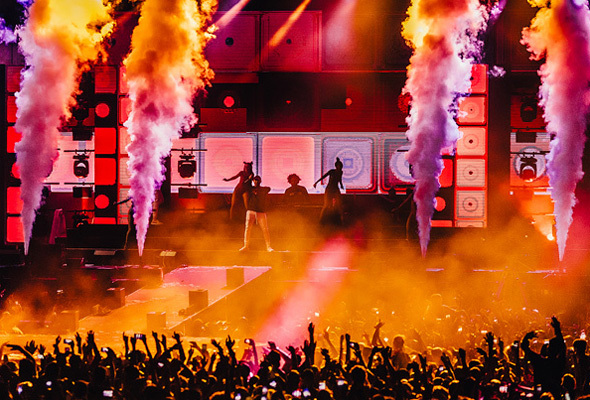 There’s a diverse line-up of acts, with award-winning British visual band Gorillaz headlining. They’ll be joined by popstar Carly Rae Jepsen, Grime artist Stormzy, Lebanese-Canadian Pop singer Massari, and Mexican-inspired band The Mariachis. Fiesta De Los Muertos, Autism Rocks Arena, Dubai Al-Ain Road, Friday October 27, Tickets from Dhs350. More info on website. Taking music to new heights, award-winning Czech musician and film composer Michal Dvořák brings his critically acclaimed show Vivaldianno – City of Mirrors to a purpose-built stage at the top of Jebel Jais. Concert organisers are providing a free shuttle bus service to the mountaintop venue from the RAK Convention Centre on Marjan Island. Ras Al Khaimah, Fri 7pm, shuttle bus at 4pm and 4:30pm, Dhs300 to Dhs600. Tel: (04) 435 9434. More info on website.